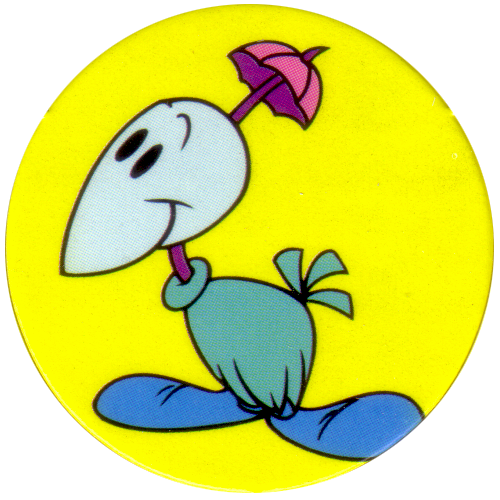 Info:These Tiny Toons milkcaps come pre-cut in a sheet of card. 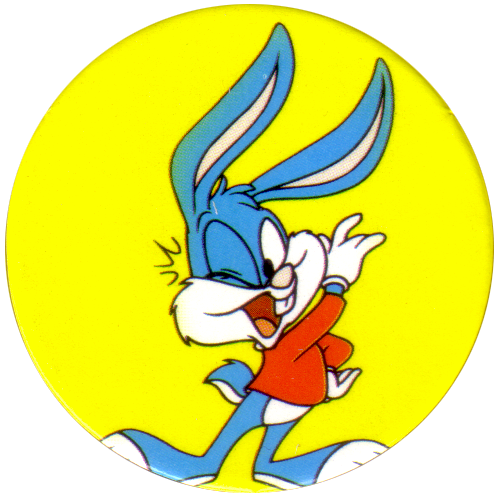 The back of the card is blank, but at the bottom left of the front of the card, it has printed 'MADE IN MEXICO'. 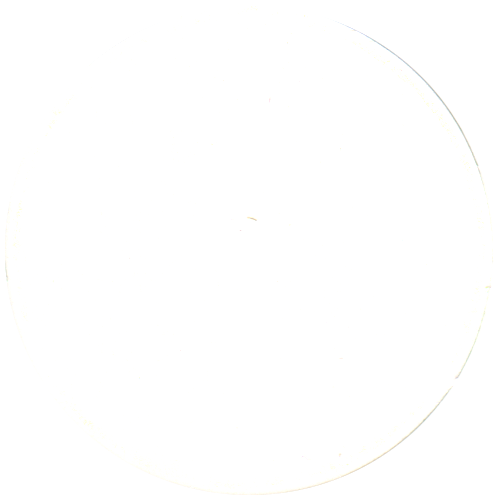 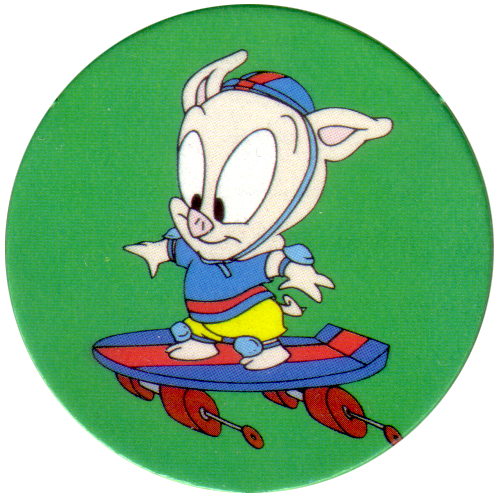 The series is made of 2 cards with 6 pogs per card, making 12 pogs in the series in total. 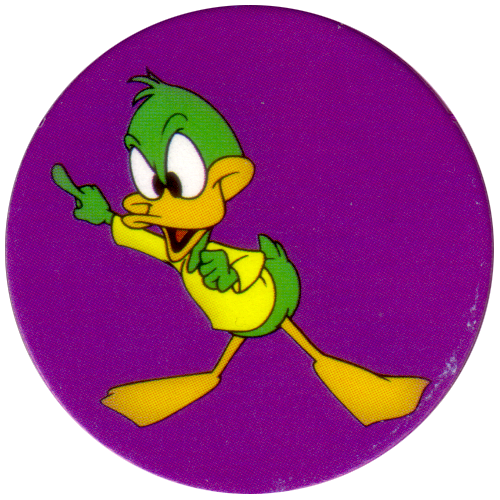 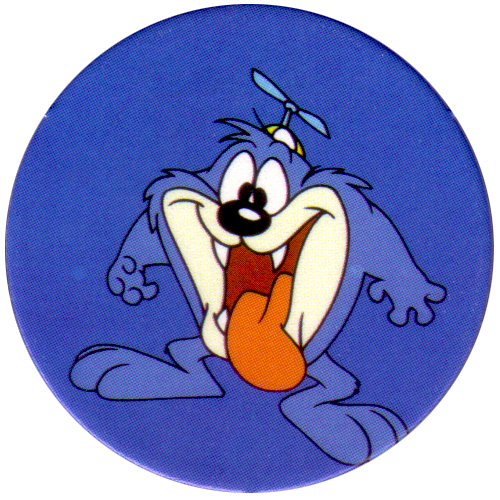 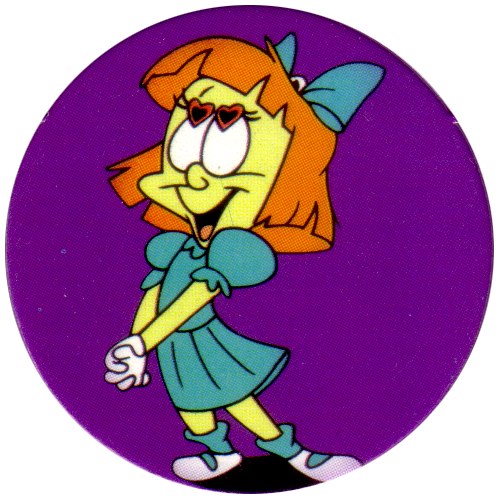 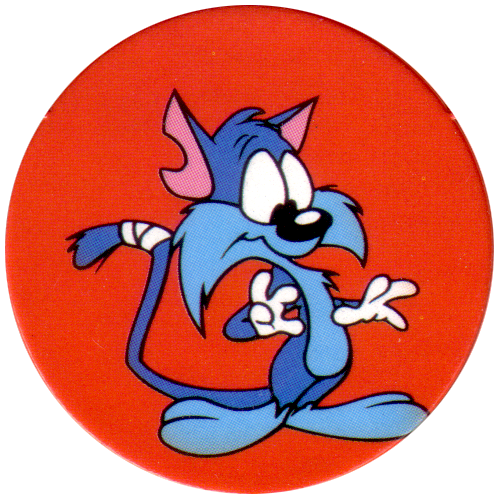 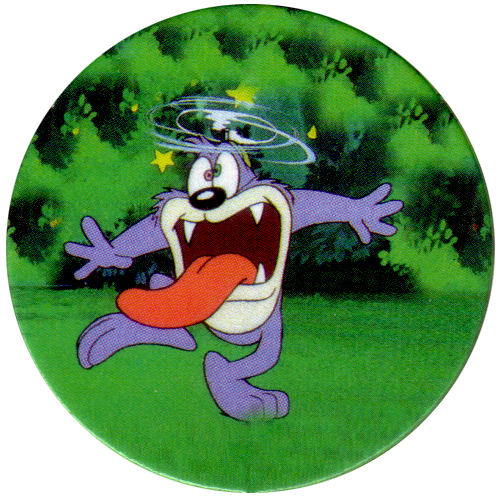 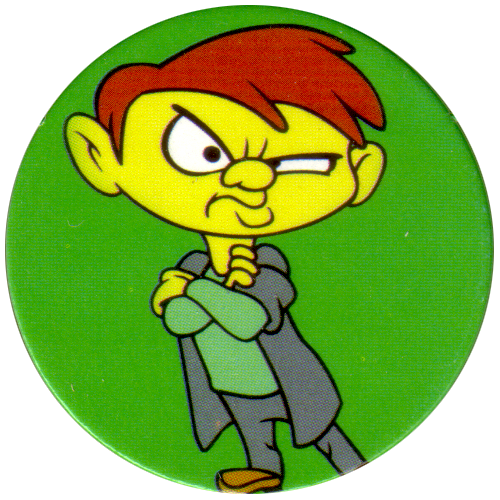 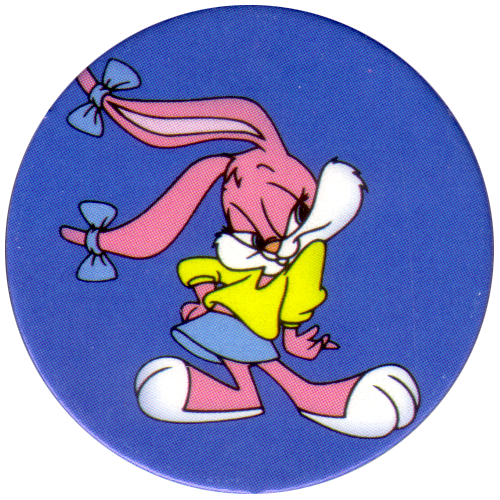 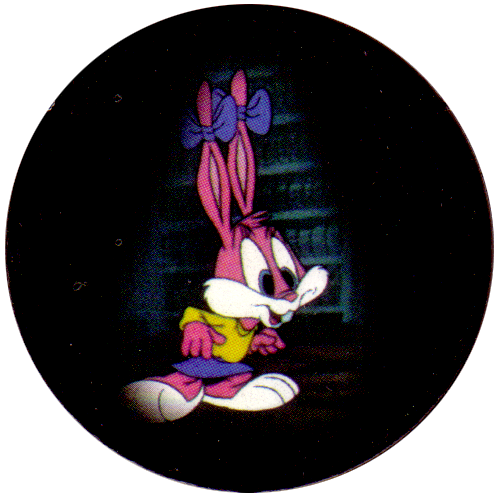 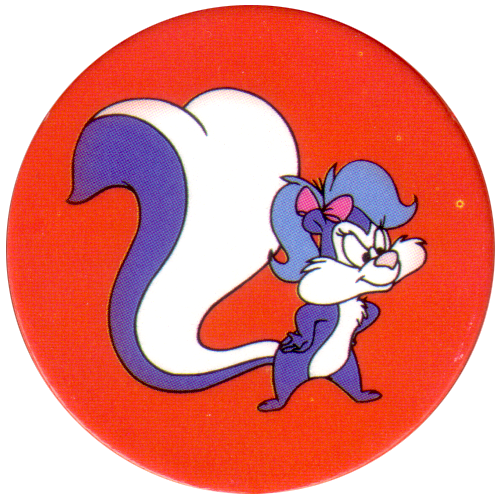 The pogs feature images of the different characters from the animated TV series Tiny Toons, which ran from 1990 - 1992.